Worry comes when we feel powerless to affect our circumstances. For example, when we hear about layoffs or foreclosures in our town, we worry that we might be next. Yet Catholics know that freedom from worry comes with knowing that God is in control and trusting him to do what’s best. We know that he loves us, wants the best for us, and is taking good care of us. 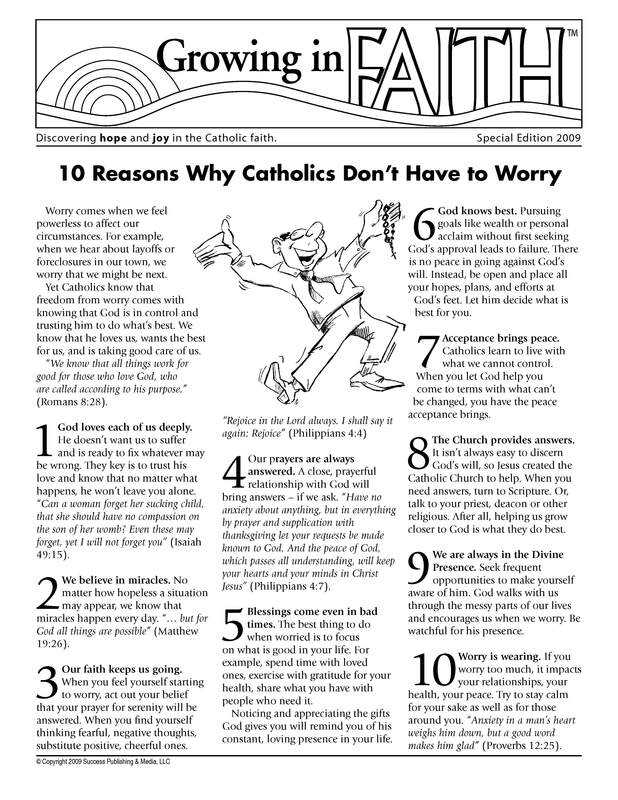 When you distribute this special issue to your parishioners, they will have 10 substantive ways to draw strength from their Catholic faith. We know that all things work for good for those who love God, who are called according to his purpose.” (Romans 8:28).